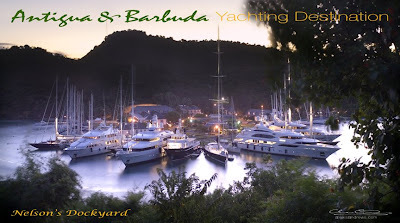 Two 6' wide wall prints will be on display at the 2008 Monaco Yacht Show at the Antigua & Barbuda Yachting Destination tent at D' Ar Sud. 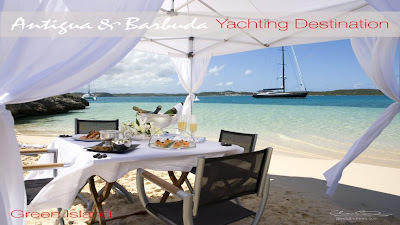 The prints have been commissioned by the Antigua Charter Yacht Show and are part of on going marketing efforts that also include IMAGES, the coffee table book and a specially designed T- shirt, USB drives and other branded giveaway items. The exclusive Monaco show is in its 18th year and showcases not only the yachts but a huge cross section of the marine industry & it's products and services as well.